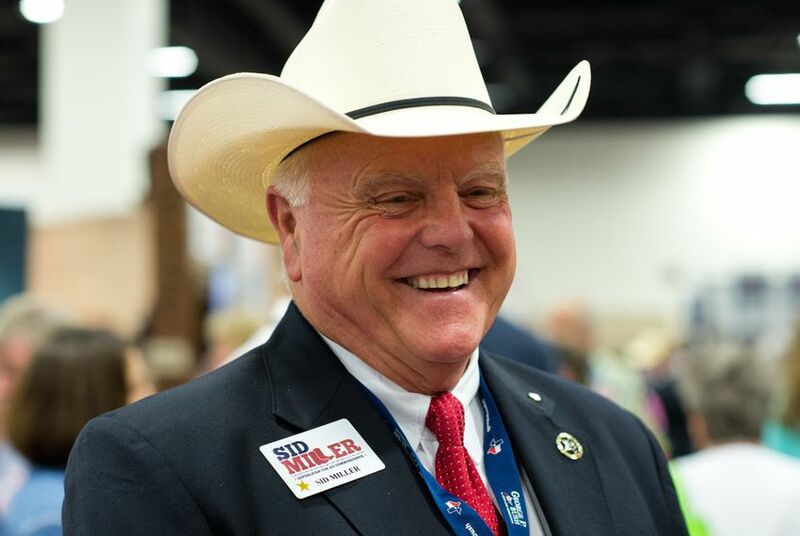 Agriculture Commissioner Sid Miller says he's prepared to "put on my rawhide underwear and take all the chewings" as the agriculture community protests a wide range of rate hikes at his agency. Sid Miller says he is no fan of fees. But the former Texas representative-turned-agriculture commissioner is drawing criticism from industry groups and state lawmakers over that very issue; his agency is poised to hike fees for a long list of licenses, registrations and services it provides. In some cases, fees are more than doubling. Need to renew your grain warehouse license? That could cost you $500, up from $235. Want to register a pesticide product with the state for the next two years? The proposed fee is $600, no longer $420. Prices for field inspections to certify seeds would increase anywhere from a few cents to more than a dollar per acre, while application fees would at least double. Costs for licenses to sell eggs would rise significantly, along with prices to weigh and measure goods. The new fees, proposed in October, are scheduled to kick in on Dec. 1. Miller said the increases “pain me greatly,” and he’s prepared to face any criticism. “I’ll put on my rawhide underwear and take all the chewings,” he said. That underwear may get an integrity test. Unsurprisingly, some agriculture groups aren’t happy, concerned that the added costs will ripple through rural economies. Gene Hall, a spokesman for the Farm Bureau, said the letter spoke for itself. State lawmakers are irked, too. Rep. John Otto, chairman of the House Appropriations Committee, wrote of his “deep concerns” about the hikes. Seventy-one of his House colleagues signed on to the letter, dated last Friday. But Miller said the state's ag industry is reaping what the legislature sowed. When they decided not restore huge cuts made to the agency's budget in 2011, Miller said, lawmakers made it more dependent on fees, including some that hadn't been raised for a decade or more. That left the agency with two options, the Republican said: cut essential services or hike fees. “It’ll help make sure that your children aren’t poisoned, and that your family won’t get E. Coli or salmonella,” he said. The agriculture department has a wide range of duties, including checking gas pumps for accuracy, verifying that grocery store scanners work properly, checking that metal scales properly display weights, along with licensing and certifying agricultural products. Miller also asked the Legislature last session for nearly $50 million to restore cuts from 2011 that shrunk agency staff, and he clashed with lawmakers along the way. The Legislature did not oblige. But some lawmakers say Miller is talking through his wide-brimmed hat. Rep. Larry Gonzales, who chairs the House subcommittee that oversees the department’s budget, said when Miller asked lawmakers for a 50 percent hike in his agency's budget, most of the money wasn't to plug the gaps Miller now describes. Instead, it would have added new programs, including some duplicating functions at other agencies, he said. Lawmakers did approve $1.5 million to bolster weights and measures inspections at the agency, an effort to protect consumers. Gonzales also pointed out that Miller, as a lawmaker, championed the 2011 cuts he now decries. "He was proud of the cuts he made. That’s the difficulty for me," he said. "Now, he wants his money, and there’s a hypocrisy there that doesn’t sit well with me." Other critics say they understand that the department may need to raise fees in some instances, but they want it to provide more evidence showing why particular hikes are needed. The agency’s 94-page “Cost Recovery Rate Analysis” did not provide enough specifics, they say. Otto and industry groups say they want more discussion before fees rise. Until that happens, he's calling on the department to suspend the increases. “I think all the stakeholders need to come together, and let's get factual information,” he said. Miller's office said it has no plans to put off the changes right now, but it has begun reviewing public comments on the proposal. The commenting period ended Sunday.